The “Virtual Microscope” allows you to zoom into an image and to explore it in detail. You need a Flash Player to view the images. 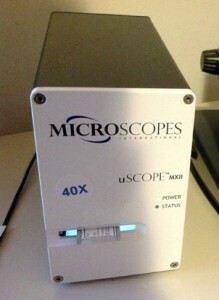 The uSCOPE MXII microscope is a slide digitizer, which allows you to take overlapping pictures to be stitched together into a larger final image. Image mosaics are composed of many individual tiles, which are color-matched. 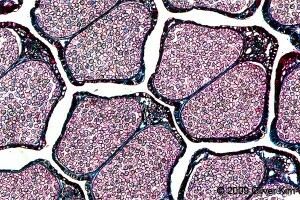 The zoomable image shows the cross-section through the tongue of a rabbit. 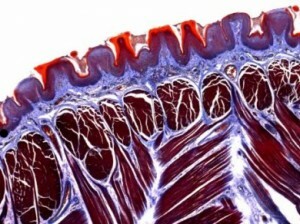 The muscles fibers and taste buds are visible. Zoom in and out! 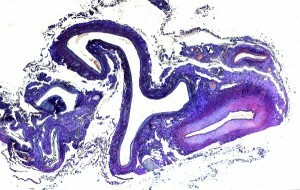 The zoomable image (Flash required) shows the cross section of an artery and a vein. 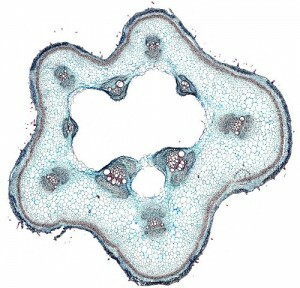 The zoom image shows two onion root tips, an ideal place to observe the different stages of mitosis. 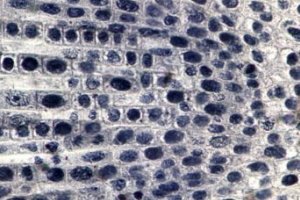 I’d like to give you a quick evaluation of some online virtual microscopes and microscope simulations that I found.